Joseph Massad’s latest book suggests that liberalism—far from being a neutral doctrine—depends on the preservation of what its rejects for its own definition. 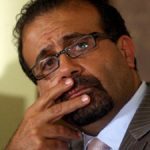 We err, says Massad, professor of modern Arab politics and intellectual history at Columbia University, by raising the question: why is liberalism absent in Islam? Inquiries of this sort too hastily assume that there is a monolithic entity called “Islam” that exists apart from liberalism. He redefines the terms of the debate in asserting that Islam is at the very heart of liberalism and Europe. “It was there” he argues, “at the moment of the birth of liberalism and the birth of Europe.” Far from designating a clear-cut religious or cultural phenomenon, “Islam” is rather that which must be repressed in order for the West to present itself as liberal and progressive. Islam is thus constituted at the very moment when liberalism constitutes itself. Inspired by the theoretical contributions of Edward Said, Islam in Liberalism demonstrates “how the anxieties about what this Europe constituted and constitutes—despotism, intolerance, misogyny, homophobia—were projected onto Islam,” and affirms that “only through this projection could Europe emerge as democratic, tolerant, philogynist, and homophilic, in short Islam-free.” What we call “Islam” is the Other that liberalism defines itself against and through; thus, this “Islam” can only exist in liberalism. Liberalism on this reading is ultimately a stealth form of Christianity that has been repackaged as “secular” and “enlightened”. The demand for Islam to embrace “secularism” or “liberalism” is really nothing more than the continuation of Western Christendom’s attempt to convert the world into its likeness. And much like with the Crusades of old, the so-called despotic Muslims who refuse secularism or a liberalized version of Islam will be forced to convert by any means necessary. Said differently, liberalism’s universalizing values insist upon producing an Islam in its own image. In this symposium five leading scholars both challenge and deepen the major claims of Islam in Liberalism. 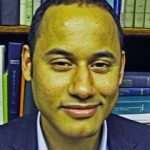 The political theorist Murad Idris attempts to enrich Massad’s argument about liberalism’s “hidden theology” by showing the linguistic commonalities that early twentieth-century liberal Protestants and contemporary secular liberals share in their mutual attempt to rescue and reform Islam. The social theorist Sara Farris examines Massad’s explanations for why Islam became increasingly associated “with unequal gender relations and violent practices against women” after 9/11. She argues that neoliberals took advantage of a ripe political moment by instrumentalizing the themes of gender equality for reasons of mere capital gain. Leticia Sabay, a Professor in Gender and Contemporary Culture at the LSE, examines Massad’s critique of liberal “rights discourse” which seeks to save women, gays, lesbians and queers from “other cultures”. Although she acknowledges that there are good reasons for seeing universal rights as a forum of transnational imperialism, Sabsay ponders if there is a way around Massad’s totalizing critique so as to not disregard the potentiality of the concept. The scholar of Islam, Salman Sayyid, raises questions about what the notion of liberalism signifies for Massad, where Muslim agency is to be found in his argument, and whether the book’s approach to the relationship between Islam and liberalism is effective. Finally, the critical theorist Alberto Toscano deepens the ideological and ethno-political implications of Massad’s notion of Islam being the necessary other of liberalism. Massad provides robust responses to each of his interlocutors helping clarify and strengthen the various arguments of Islam in Liberalism. Joseph Massad is professor of modern Arab politics and intellectual history in the Department of Middle Eastern, South Asian, and African Studies at Columbia University. He has written many books, including Desiring Arabs, also published by the University of Chicago Press. JOSEPH MASSAD’S NEW BOOK Islam in Liberalism is a welcome and timely intervention into one of the most pressing questions of our times: why does Islam occupy such a central inimical place within Western politics and ideology? Massad answers this question with a straightforward thesis: “Islam” as such does not exist. What has come to be called “Islam” as a supposedly homogenous cultural entity in reality has been fabricated by Western liberalism as its symbolic Other. In other words, Islam is the alter ego of the Euro-American liberal order and “identity,” represented as fundamentally different precisely in order to transform it into a symbolic place onto which Western liberalism can project its antinomies and failures. This thesis becomes particularly clear and convincing in the second and lengthiest chapter of the book, which is entitled “Women in/and ‘Islam’: The Rescue Mission of Western Liberal Feminism.” Alone constituting almost one third of the whole book, here Massad explores how Western liberalism in general and Western liberal feminism in particular have successfully depicted sexism and violence against women almost as the exclusive domain of Islam as the Other. Massad presents this main line of argument through a remarkable mode of conjunctural analysis. For this reason, in this review, I want to concentrate on this long chapter, highlighting what I consider to be its most insightful arguments but also offering a critique of those instances in which I believe Massad could have developed his important claims further. To begin with, Massad asks how and why has Islam been increasingly associated with unequal gender relations and violent practices against women—a kind of mantra that has become particularly widespread after 9/11 and the beginning of the “war on terror.” Instead of providing a clear-cut and thus simplistic argument, he proposes to analyze this phenomenon as the result of a complex social, economic, political, historical conjuncture in which well-orchestrated semantic manipulations, imperialist gambits and victories (Western liberalism over “actually existing socialism”) as well as co-optations of liberal feminist concerns are all amalgamated (wittingly and unwittingly) to produce a powerful representation: that of Islam as an undemocratic entity in which Muslims are victims to be rescued. As in the rest of the book, in the chapter “Women in/and Islam” Massad takes us through a detailed genealogical reconstruction that shows how old ideas and well-ingrained stereotypes about Muslim women’s lives have been re-mobilized in new political landscapes. As he rightly reminds us, the Western idea that Muslim women are slaves in a world of male (Muslim) masters is in fact not a novel one. From Montesquieu’s Persian Letters to Mary Wollstonecraft’s A Vindication of the Rights of Women, up to Susan Moller Okin’s “Is Multiculturalism Bad for Women?” the European and American liberal (and feminist) intelligentsia’s encounter with Islam and the East has been one marked by trenchant comments on the inferior status of women. In both Britain and the United States, the discourse on Muslim and non-white/non-Western women’s hardships and lack of rights, Massad maintains, stemmed directly from entanglements between the white women’s movement and the Christian missionary movement. As Massad puts it: “The status of Oriental women would be the reference against which white women would and could measure their advanced status in Christian society, further entrenching the already existing understanding of the liberatory basis of Western Christian society as opposed to the repressive basis of Oriental societies” (116–17). Interestingly, in this context Massad also informs us of the rather less-known fact that the West’s previous alter ego during the Cold War (i.e., the Soviet Union) also upheld the idea that Muslim and “Oriental” women occupied a lesser status in the hierarchy of gender orders. In a speech from 1924, Trotsky predicted that women in the East had a greater role to play as compared to the situation in Europe because they were “incomparably more fettered, crushed and befuddled by prejudices than is the Eastern man” (quoted in Massad, 120). The Soviet Department for Work among Women (Zhenotdel) initiated liberation campaigns for Muslim women in Central Asia, while the Second International Conference of Communist Women in 1921 welcomed those Central Asian women who took off their veil as a sign of their improved consciousness. As Massad notes, “Soviet Socialism’s understanding of the Woman Question, unlike its position on other forms of justice, seemed to meet liberal feminism when it came to Muslim women” (120). The Eastern Woman Question thus, he argues, was always an instance and project of the more general Eastern and Western question. Such an instance, however, according to Massad, has acquired particular salience since the late 1980s and the establishment of the neoliberal new world order. Massad’s central and important thesis is that the victory of the West and neoliberal capitalism over Soviet Socialism has produced a series of intertwined consequences: on the one hand, human rights as non-economic but purely individual rights have increasingly been used by Western actors (including NGOs) to impose their agenda and values in the Global South. As Massad puts it, “the discourse (and organized campaigns) of human rights has more of a symptomatic relationship to neoliberal global capitalism: it broaches moments of critique; it attempts to inoculate against neoliberalism’s worst excesses; sometimes it pretends to offer something almost like a counter-public, yet it continues to operate insistently outside the economic sphere, the most important of neoliberalism’s theaters of operations” (133). On the other hand, Massad seemingly suggests that Islam has replaced the Soviet Union as the global enemy and the cry against women’s oppression has replaced that old cry against lack of freedom in the USSR. In order to articulate these points, Massad carefully reconstructs the genealogy of the insertion of women’s rights against violence as human rights by looking at the place the issue occupies in some key UN-sponsored events: the World Congresses on Women that took place between 1975 and 1995, the Convention on the Elimination on all forms of Discrimination Against Women (CEDAW) adopted by the UN General Assembly in 1979 and the UNDP report on Arab Human Development (AHDR) from 2006. In the early 1990s, Massad maintains, the issue of violence against women as a human rights violation becomes established as a top UN priority. Gendered violence is in fact treated as that allegedly universal female lingua franca which should allow women from different nationalities, cultures and classes to work on a common agenda. Yet, as Massad well identifies, it became evident from the outset how gendered violence was treated as a “cultural problem” in the Global South and an “individual” problem in the Global North, as well as how the conflict between culture and human rights was one upheld only in the case of the former, but not in the case of the latter. As he argues, “The general approach then, as now, remains for states to reconcile ‘conflicts’ between rights and ‘culture,’ eliding the fact that the conflict was principally between a new Euro-American and European ‘culture’ that the state must bestow rights domestically and the role it demanded of the United Nations that it impose this recently invented US ‘culture’ internationally” (128). After 9/11 and the United States’ resort to women’s rights as human rights in the bombing of Afghanistan, the instrumentalisation of issues of gender equality in anti-Islam campaigns in particular became embarrassingly evident, but nonetheless not less dangerous. Indeed, while confirming anti-racist feminists, various leftists and anti-war activists in their arguments and convictions about the hypocrisy of Western liberals, the resort to women’s rights to justify imperialist wars was perceived by Western populations at large as some kind of legitimate endeavor (at least judging from regular polls conducted in EU countries in which large samples of people associate Islam with the oppression of women). Many feminists have denounced such an instrumentalisation and harshly criticized Western liberal feminists’ “missionary” vocations when it comes to Muslim women as relics of imperialist feminism during colonialism. And yet, Massad finds that some feminists (among whom he lists Lila Abu-Lughod) have nonetheless tried to present Western liberal feminists’ mistakes as well-intentioned; that is, as fundamentally motivated by the good aim of helping suffering Muslim women. Here Massad’s counterarguments become particularly convincing. Rebuking the attempts to present Western liberal feminist missionary tendencies as “well-meaning concerns,” he asks: why do we regard Western liberal feminists who want to rescue Muslim women as “well-meaning,” but we do not ask why Muslim women do not try to rescue Western women from their own patriarchal orders? Is it because Muslim women are not capable of solidarity? Or rather, is this asymmetry embedded in the uneven power relations and paternalistic/imperialist ideology that informs missionary approaches, wittingly or unwittingly? “Questions of ‘well-meaning concerns’ and pleas for anti-culturalist vigilance turn out to be nothing short of misnomers at best and liberal imperialist dissimulations at worst” (176). Culturalism is the general approach informing studies and analyses on unequal gender relations amongst Muslim populations, which attributes such inequalities to inherently misogynist features within Muslims’ “culture” (whereby culture and religion seem to coincide, at least when it comes to discussing Islam). Comparatism is what Massad calls “the transgeographism of Western values . . . a process by which the West, or a fantastic version of it, is taken as a comparative reference point and the rest of the world is studied to identify how it converges with or diverges from it” (207). Assimilationism, finally, is the process by means of which Islamic cultures (or non-Western cultures in general insofar as they are seen as diverging from Western culture) are urged to dissolve and absorb Western values. Assimilationism presupposes both culturalism and comparatism insofar as assimilation only becomes a viable proposal from the moment in which Western analysts decry Islamic culture as comparatively inferior and unworthy. Overall, Massad convincingly shows the liberal kernel within the pseudo-philogynist shell that has informed discussions on gender and Islam in Western circles in the nineteenth as well as the late twentieth century up to the present. That is, Western analysts’ claim to be the bearers of universal values such as gender equality, and their individualistic/culturalist approach to the study of women’s conditions under Islam, are fundamentally liberal propositions, but have nonetheless been successfully presented as politically neutral perspectives. Importantly, as noted above, Massad treats the integration of women’s rights into the human rights agenda in the context of the war on the terror as symptomatic of the relationship that the human rights discourse more generally has with neoliberalism, whereby the former criticizes the latter for its negative consequences on people’s lives while failing to engage it on the economic terrain, which is “the most important of neoliberalism’s theaters of operations” (133). A political economic lens thus, I believe, is crucial to make full sense of the reasons why neoliberal capitalism as an economic as well as political hegemonic project exploits women’s rights in anti-Islam campaigns. Unlike a number of works that have focused upon these issues from mostly politicist perspectives, Massad’s book has the undoubted merit of pointing to the economic realm as the missing link in the chain of events explaining the sudden “treacherous sympathy,” to borrow Leila Ahmed’s words, that Westerners have shown towards Muslim women after 9/11.4 As Massad rightly acknowledges, the absence of economic considerations from human rights’ discourses symbolically bears witness to the crucial role the economy plays in these neo-imperialist rescuing narratives. 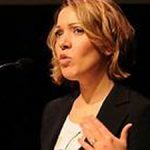 I cannot but fully agree with Sara Farris’ astute reading of my book and of her understanding of the general relationship of neoliberalism and the human rights industry to the question of “women in Islam,” and to the absence of the analysis of political economy in their advocacy and analysis. We are clearly in agreement on seeing the absence of the economic in these debates and analyses as central. Farris asks, “Is the economic realm thus ‘excluded’ from human rights’ agendas precisely because it constitutes the very basis of those ‘higher’ realms of politics and culture, to put it in Marx’s terms? In other words, is the discourse of human rights, and consequently, of women’s rights in the East and under Islam, a plea for political equality that only serves to divert attention from economic and social inequalities?” My answer is a resounding yes to both questions. While Orientalism is the organizing epistemology and ontology of human rights work at the level of the representation of Muslim women, the overall strategic goals of human rights work are set by imperial capital (in its neoliberal form) which not only funds and plans the agendas of NGOs but underwrites the very production of imperial culture and policy as a “culture of human rights,” either as alibi or as imagined check on the worst excesses of neo/imperial capital. That what is taken to be human rights is the liberal agenda of Western European governments and that of the United States and is adopted by organizations like Amnesty International and Human Rights Watch, which originate as partisans in Cold War-era ideological battles, is hardly a coincidence. Such a human rights agenda refused to grant any legitimacy to what the Soviets considered “human rights” not only by the Western human rights industry, but even by many of their academic, yet liberal, critics in the Western academy. Of course “Economic and Social rights” remained on the agenda of resistant academics and activists whose voices, however, were not influential in policy circles. To undertake a political economic analysis to understand the question of gender inequality in human rights literature, different kinds of literacies are needed—including but not limited to neoliberal economics and politics—like the ones evinced in Farris’ own work. Such approaches uncover the structures that maintain human rights activists’ refusal to take on board a second generation of critics within the human rights industry of what is called “Economic and Social Rights,” except as a separate and separable form of rights that cannot be folded into the rubric of “human” rights as liberalism defines them. Add to this the refusal to consider gender equality as an economic and social right and the insistence on limiting it to the more classically liberal definition of the first generation of human rights activists, i.e., the civil and political definition of “human” rights, with its ontological allegiance to the idea of the individual as the only possible bearer of (human) rights. JOSEPH MASSAD HAS BEEN engaged in iconoclasm for some time. He has sought to break the idols most dear to particular contemporary forms of life. For example the case of Western NGOs, which talk the talk of anti-imperialism but can be shown to walk the walk of empire. These idols are precious not due to their centrality, but rather to their presumed innocuous innocence. It would not be unfair to say that despite Massad’s energy and skill, this has been a hard sell. It should be apparent, and if it is not let me say it at the onset, that I do not deplore Massad’s iconoclastic urges (how could I), nor do I demur from the conclusions he draws, and I certainly do not wish to be seen as dismissing his project. So the doubts that I want to mention in this response are as a way of helping to clarify my own thoughts on these matters. Perhaps they are not so much direct challenges to Islam in Liberalism but rather have a wider relevance to what I would call de-colonial counter-writing. With these caveats in mind, I want to make three points which, while able to stand on their own, I believe sufficiently connected to be seen as steps in an overarching argument. The three points are: what is liberalism in Islam in Liberalism, where is Muslim agency, and finally what is gained by detailing the relationship between liberalism and Islam, i.e. what difference does counter-writing make? Given the central focus on liberalism in Massad’s book, it is a bit odd that it remains somewhat nebulous in his account. Massad is adamant that his concern is not with liberalism per se, but with the way in which it interacts with what he also considers a problematic category: Islam. He states that his primary concern is to investigate how “Islam figures in the ideologies and polices of liberal regimes in Europe and the United States” (p. 12). I am not convinced that if we were to re-write the above sentence as: “an investigation into the way in which Islam figures in the ideologies and polices of Western regimes”, we would have a very different book. The point I am making is not that Massad should have written a different kind of book, but rather that the amorphous nature of liberalism is reproduced in his book and this reproduction has a number of consequences for the overall cogency of the argument that he wants to develop, as we shall see. This raises the question: what exactly is the work that the concept of liberalism does for Massad’s overall argument? The range of Massad’s references are fairly extensive and include secular reoccupation of Protestantism, the content of colonial education, the construction of particular kinds of feminism. One of the merits of Massad’s approach is that it focuses on the performativity of liberalism rather than its declarations. For example, liberals outside the West practice liberalism by reading books by Nabokov in a capital of an Islamic republic while their servants hover around them, or by de facto supporting tyranny (as long as it keeps Islamists out of power). One could imagine a Wittgenstein-inspired investigation in which the multiple usages of the concept of liberalism are enumerated as a means of showing what liberalism is today. There is much to recommend such a methodology; after all, it would be rather unduly restrictive to equate liberalism simply with the thoughts enunciated by a set of exclusively white men in the eighteenth and nineteenth centuries. 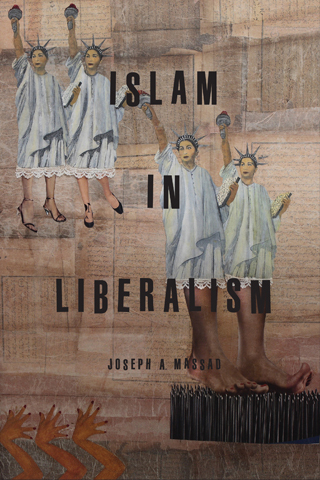 Massad, however, explicitly states that his book’s focus is on the role of the liberal regimes of Europe and the United States in producing liberalism. This take is different from the idea that liberalism is a product of a series of historical and contemporary conversations which provide a language-game that many play in and out of the West. By focusing on the role of liberal regimes in producing liberalism, Massad risks introducing a rather uncomplicated instrumentalism in which the global spread of liberalism can be traced to the ploys and plots of an undifferentiated political impulse of the West. By privileging liberalism as ideology or ethos of specific regimes, Massad lets slip that the relationship between liberalism and Islam may be more instrumental than constitutive. Thus, the argument that Massad makes for the compatibility of liberalism and Western imperialism appears as being merely contingent rather than necessary. In this sense, one could argue that Islam in Liberalism is another variant of the postcolonial literature which has appeared in recent years (some of which is cited by Massad) which demonstrates the imbrications between liberalism and Western imperialism. If Islam is articulated by liberal regimes in pursuit of their policies, then its relationship to liberalism is contingent on such articulations. While Massad and the rest of the literature in this genre can show that the relationship between Islam and liberalism is not traceable to Sykes-Picot or the Napoleonic invasion of Egypt, I think such accounts fail to capture the full importance of this relationship by restricting it to a play of surfaces, in which representation is distinct from constitution.1 I suspect that one of the reasons why Massad may wish to keep representation and constitution as discreet is that he does not want to fall into the trap of idealist essentialism. The study of matters Islamicate has become haunted by a fear of idealist essentialism since at least the publication of Edward Said’s Orientalism. This fear creates particular problems when it comes to the formation of collective identities and the role of Islam. Treating Islam semiotically opens the possibility for the significance of Islam to be thought of as merely epiphenomenal. This has consequences for the idea of a Muslim agency. Islam in Liberalism makes the argument that Islam was deployed as an instrument of imperial policy from Pax Britannica to Pax Americana, an argument that is common-place among certain circles including the Eurocentric left. It is an argument which has a particular polemical charge which circulates among policy-makers, opinion-shapers and, in its various formulations, in the general culture. This is the case, for example, with the claims that the Taliban are an invention of the CIA or that Islamism, in general, was encouraged and facilitated by Western powers and their local surrogates to ward off independent-minded (Muslim) regimes. Massad succeeds in adding erudition and depth to this line of argumentation by showcasing the long-term nature of liberal attempts to deploy Islam, but he does little to undermine the beliefs that the appearance of political Islam is anything but the result of manipulations and machinations. The relatively weak emphasis given to the caveats that liberal articulations of Islam (that is, Islam as deployed by Western regimes) do not exhaust it means that Islam appears as a form of false consciousness rather than as the crucible for the formation of sustainable subjectivities. What Massad calls the ‘multiplication of referents of Islam (e.g. Islam as culture, civilization, way of life, death-cult, religion), it could be argued, is not so much a feature of the 19th century ‘liberal regimes’ but rather arises from the role that it has for Muslims as a master-signifier (Sayyid, 1997: 1-14). By refusing (at least in Islam in Liberalism) to discuss the intersection between Islam as the name by which Muslims become historical agents and Islam as deployed by the Western conglomerate state, the book risks reproducing Eurocentrism epistemologically while denouncing it as an imperial/colonial/racial project. One way out of this problem would be to take a philosophically pragmatic position and accept that the relationship between episteme and empire is not that tight. In other words, a critique of empire does not necessarily mean a critique of its episteme and, vice versa, by linking liberalism to the policy of liberal regimes with such careful and detailed scholarship, Massad seems to foreclose such an option. Islam in Liberalism joins a growing literature which demonstrates the ignoble beginning of the Western enterprise in the hope (less explicitly stated) that such an endeavour will disrupt, if not at least help dismantle, Western global hegemony. Most of these books and articles operate in the ground opened up by Edward Said’s critique of Orientalism. Many of these texts tend to see Orientalism, not in its ‘weak form’ (that is, simply as a complaint about how Oriental realities are distorted in the service of imperial interests) but in its strong version in which Orientalism does not so much as distort an already existing Orient, but rather constitutes it as a means of narrating the identity of the Western enterprise. The identity of the West is formulated in a series of contrasts with the Orient, and because liberalism (and its associated concepts such as democracy) gain their identity not by their specific content but rather by their attachment to the West, it is always possible for the West to discard every tenant of liberalism and still be considered to be liberal as long as it is considered to be Western. For example, the stealthy installation of a form of apartheid for Muslims in the global North (in many aspects pioneered in the occupied territories of Palestine) proceeds with little hindrance because Muslims are articulated as antagonistically distinct from Westerners. Thus, it becomes possible to restrict Muslims’ freedom of movement,2 to take away Muslim children from their parents,3 to deter Muslims from engaging in critical citizenship, all in the name of upholding liberal values. While there is little doubt that it is Muslims, and those who are suspected of being Muslims (Arab Christians, Sikhs, people of colour…), who bear the brunt of this reconfiguration of relations between state, civil society and individuals, the effects of these reconfigurations seep out from ethnic enclaves into the general grammar of governance, profoundly altering the relationship between all citizens and government. In the story by Hans Christian Andersen, when the boy points out that the emperor has no clothes, everybody laughs and the spell is broken, and the royal majesty is humiliated. One can imagine a contemporary version of this story when books like Islam in Liberalism, Recalling the Caliphate, The Politics of Piety, Geologies of Religion, Culture and Imperialism point out again and again that the empire has no clothes, but nothing much seems to happen. If the ability to break the spells of Eurocentric delusions is so weak, then what should be the purpose of a decolonial counter-writing? Or to put it in more concrete terms, what is to be gained by showing that Islam and liberalism have a relationship not of exteriority but of deep imbrication? By showing that liberalism denotes a philosophy, ideology, culture but, most of all, denotes the West itself, that it operates more as a cultural marker than just as the name of a specific assemblage of practices and protocols to do with freedom of expression, tolerance, accountably, regularity in transfer of power, transparency etc., how does change this our practice? Does decolonization require a decolonial episteme, or would decolonized epistemology lead to decolonization? If the correct answer to both propositions is: ‘most probably no’, then the question arises about the wider purpose of the literature of which our work is a part. If all we can do as academics is say that the empire has no clothes, but that disclosure does not bring about a decolonial epiphany among the flunkeys and courtiers of the empire, then perhaps we need to do something different. In the first few pages of Orientalism, Edward Said introduces Foucault’s category of discourse and Gramsci’s category of hegemony as being the building blocks of his critique. Many of us have spent a great deal of our lives focusing on discourse as a system of representation and perhaps not enough on hegemony as a play of discourses or, to put it in another way, politics. I would argue that one of the hallmarks of liberalism is its rejection of collective identities in favour of rationalist individualism, and this makes it difficult to conceive of the political as constituted by antagonism (Mouffe, 2005:10-11). Liberalism is profoundly anti-political means that conflict is only possible because of irrationality or error. The pay-off of many studies on the relationship between Islam and the West (I mean those texts which are not basically Islamophobia screeds) is to show the ways in which Islam and the West are not that different and suggest that if we could embrace our common humanity, the world would be a better place. Such an embrace cannot so simply wish away antagonism and difference. As long as we remain within the framework of speaking truth to power, we will all be hostages to liberalism. We will be subject to the Stockholm syndrome and unable to think beyond the language games of our captors, convinced that the belief in a universal reason will eventually bring about justice and freedom. To effect a hostage release requires the recognition that collective identities are antagonistic, contradictory but that they are also necessary as a foundation for any and all politics. It is politics which can deliver on the promise of a better world. Since it is the hegemonic play of discourses which produced the Oriental world as part of the colonial-racial world-making of the Western imperial formations, it is the hegemonic play of discourses and not truth that will undo that process of world-making. Ultimately the problem of liberalism is not that it is pushed by specific regimes which promote particular forms of life but, rather, the spread of liberalism has become so internalized that our critiques cannot reach it. Or to put it in another way, criticizing liberalism, on one hand, and maintaining a suspicion of politics and the political on the other, is just another way of supporting liberalism. The question, then, remains: what is the role of disclosing the ignoble beginning of Western imperial formations in the project of decolonization? What needs to be done to turn the good sense displayed in Islam in Liberalism into a common-sense accessible to all? Does critique have to give way to the task of imagining alternatives to the present? Gramsci writes about ‘intellectual and moral reformation’ as means of building an alternative conception of the world, a counter-hegemonic narrative that attempts cultural transformation, but such intellectual and moral reform is an hegemonic operation, and hegemony is another way of describing politics. Perhaps decolonial counter-writing requires a recognition, not just in its content but also in its organisation, that the enterprise of critique is a political matter. Hirschkind, Charles, and Mahmood, Saba. “Feminism, the Taliban, and Politics of Counter-Insurgency.” Anthropological Quarterly 75:2 (2002) 339–54. Mahmood, Saba. The Politics of Piety: The Islamic Revival and the Feminist Subject. Princeton: Princeton University Press, 2005. Mignolo, Walter. “Epistemic Disobedience, Independent Thought and De-Colonial Freedom.” Theory, Culture & Society 26:7–8 (2009) 1–23. Mills, Charles. “Decolonizing Western Political Philosophy.” New Political Science 37:1 (2015). Mouffe, Chantal. On the Political, London: Routledge, 2005. Pitts, J. A Turn to Empire: The Rise of Imperial Liberalism in Britain and France. Princeton: Princeton University Press, 2005. Sayyid, S. A Fundamental Fear: Eurocentrism and the Emergence of Islamism. London: Zed, 1997 [2003, 2015]. ———. Recalling the Caliphate: Decolonization and World Order. London: Hurst, 2014. Sayyid demands that the book provide a definition of liberalism per se yet he goes on to agree with me that liberalism is a moving target and a complex ensemble of discourse, regimes, and practices. 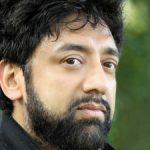 Sayyid’s seemingly hasty and rushed reading of my book strikes me as having missed central parts of my arguments and evidence, especially so as he uses the main arguments of the book as his own critical response to phantom arguments that he thinks I make in Islam in Liberalism but which are not there. For example, he strangely presents an unsubstantiated claim that liberalism functions instrumentally in my book. In fact, if my book has a single thesis that is repeated and substantiated from the first line to the very end of the book, it is that Islam in liberalism is constitutive and not merely instrumental. Indeed, the book speaks throughout about the imperial liberal production of different Islams and about its deployment of Islam in liberalism as part of its identitarian discourse of self and other. Nowhere in the book do I claim that the West is an undifferentiated political agent, but rather the opposite, I show that the fiction of its historic unity let alone its essential Westernness are effects of how Islam functions in liberalism. This is the whole point of the book as recognized by the other commentators in this forum. I also disagree with Sayyid’s implicit definition of agency throughout his response. Following Marx, I believe the agent, träger, literally a carrier, is quite distinct from a liberal voluntarist intentional individualist understanding of agency. As for how Islam figures in Muslim ontology and epistemology, as I clearly state in the book, this is the subject of my next book to which Islam in Liberalism is an introduction. My project in this book is concerned solely with Islam in liberalism, not with Islam and liberalism, let alone Islam in-itself or Islam for-itself, a project that would require an entirely different archive and methodology. Sayyid insists that books must make a socially transformative difference (“what difference does counter-writing make?”) by drawing up blueprints for a new world free from oppression, short of which he believes books fail at their task of critique and scholarship. Sayyid is risking a certain anti-intellectualism in demanding that intellectual work is only valuable if it has instant political efficacies in the form of policy recommendations. I am tempted to diagnose his demand as a narcissistic fantasy that wishes for academic books to be single agents of political change and transformation. Alas, this is a wish that cannot come true. FROM THE MID-NINETEENTH century up to recent coverage of ISIS, a recurrent question has been how to resolve the problem of Islam so that “it” (or whatever and whoever it stands for) becomes more hospitable to liberal principles and commitments. Some approach Islam and liberalism as overlapping but distinct spheres, translating “Islamic” ideas and contexts into liberal or illiberal doctrines, often with the aim of making Islam compatible with liberalism. Others seek to craft a specifically “Islamic liberalism,” or to give voice to liberal Muslims. Islam emerges as a problem in the conceptual apparatus and normativity of liberalism, and liberalism presents itself as that which might save Muslims from Islam. Joseph A. Massad’s brilliant new book, Islam in Liberalism, studies how liberalism constructs Islam as a problem and itself as the solution. It reorients readers from thinking about Islam and liberalism to Islam in liberalism, that is, “how liberalism constitutes Islam in constituting itself” (12), or how liberalism functions in relation to Islam as an antonymical object it calls into being as illiberal, not yet liberal, or in need of (liberalism-friendly) reform. This is a timely and crucial intervention. Recent scholarship has drawn attention to the disavowed genealogies of liberal imperialism, studied its hidden operations, and troubled the status of Islam as an Other to the West and secular liberalism; Massad builds on these bodies of literature to consider how liberalism has constituted itself specifically in and out of what it calls “Islam,” which it marks as one of its lacking others (and which would be lacking nothing other than liberalism). Islam in Liberalism synthesizes numerous literatures and discourses about Islam, and at the same time, offers an original, provocative reading of what unites constructions of Islam with definitions of liberalism. The book’s five chapters focus on five topics, each of which figures prominently in popular discourses, policy circles, and academic discussions as arenas of liberal anxiety about Islam: democracy (ch. 1), women (ch. 2), homosexuality (ch. 3), pathology and repression (ch. 4), and relations among religions (ch. 5). Massad’s discussion of “atrocity exhibitions” to describe how these arenas are presented today is powerful and compelling, and taken together, the chapters suggest that these arenas are refashioned and circumscribed in ways that facilitate liberal intervention surrounding Islam and politics, what it needs, and how it is to be evaluated. Such interventions and transformations appear in the establishment of institutions, in the reports of liberal activists, and in the writings of scholars; in the extreme case, they are conjoined to the flows of capital, the destructive invasions of militaries, and “reconstruction” projects by Western NGOs. Although Massad states that he does not seek to “investigate the whole range of concerns that constitute liberalism” (12), Islam in Liberalism should nonetheless provoke a more general, theoretical reassessment of its constitution in relation to Islam. Given the significance of the conceptual, historical, and political architecture that Massad tracks, my comments and questions are primarily devoted to thinking with Islam in Liberalism about these five domains, the kind of liberalism that the book studies, and its relationship to religion. Contained within his analysis (as I have also suggested elsewhere) is a potential reformulation of liberalism, in terms of what it does to constitute itself and Islam. Based on my reading of Islam in Liberalism, it might be formulated in three parts: (1) liberalism builds untenable equivalences between unequal and disparate things, equating the powerful and the powerless; (2) liberalism’s principles, formulas, and categories are persistently available as supplements, such that non- or even anti-liberal thinkers and actors invoke them when turning to Islam; and (3) the key trace of the theological in liberalism is what Massad calls the impulse to “rescue and save,” and so a neglected layer of liberalism’s hidden theology is located in its missionary practices. What do we learn about liberalism by understanding it in terms of the five arenas and in terms of liberal activists and internationalists as missionaries who seek to “rescue and save”? I take Massad’s descriptions in Islam in Liberalism (and in Desiring Arabs) of internationalist activism as missionary work to form a significant conceptual point: liberalism might be a number of other things—a project, an ideology, a morality—but it also entails missionary practices concerned with rescuing and saving. How far does this analogy go, and is it only an analogy? Does the idea of the liberal missionary draw out an analogical relationship between liberalism and Christianity, Christian missionary and the liberal activist, the colonial church mission and the international NGO? Or does the language of the missionary and mission indicate another layer of the theological impulses that remain embedded in liberalism? At stake in this question is whether the conceptual and historical filiation between Christianity and liberalism implies a more direct continuation of an ideology aimed at saving others, for which the missionary would be a basic, if neglected figure. The categories deployed by missionaries like Zwemer imply a significant connection between liberalism and Christian missionaries. At least four of Zwemer’s five “failures” are central, albeit to different degrees, to constructions of Islam in the liberal practices and discourses that Massad studies. Indeed, two of these five, democracy and women, are chapters of Massad’s book. Just as Zwemer constructs his Christianity, his West, and their imperialism as democratic and philogynic by constructing Islam as despotic and misogynistic, Massad points to how liberalism constructs itself in these terms, also in opposition to Islam. Zwemer’s concern with children and the inadequacy of the Qurʾān intersects with liberal questions about education; liberal elites, after all, were often concerned with reforming the nation through education and tended to be involved in founding various schools.2 Universities and schools are important to the histories of Islam in Liberalism, and Massad’s careful attention to such institutions is no surprise for anyone familiar with his previous books. Zwemer’s concern with reason (or Islamic un-reason) and with the soul (or Islamic damnation) also appear to be continued in Massad’s account of liberalism, albeit in different (secularized) form. Zwemer’s belief that reason belongs to Christianity, and unreason to Islam, has echoes in psychoanalytic discourses’ pathologization of Islam as a return of the repressed, which Massad discusses in chapter 4. One might understand such points of convergence in categories between liberal activists and Christian missionaries as parallel branches of a shared European lineage, borrowings and transpositions, liberal-Christian cross-pollination, or self-pollination. It would require that we rethink, along the lines of Islam in Liberalism, the development and transfer of these domains and their discursive antecedents, within Christianity into or alongside liberalism, in relation to liberalism’s Muslim and non-Muslim constitutive outsides, in the hands of religious and “secular” missionaries. Does the recurrence of democracy and women as categories, as well as the continuation of reason and the soul, across the Christian missionary and the Orientalist, into liberalism, present another indication of the theological traces in liberal secularism? Or should we understand early twentieth-century European and American missionaries to be approaching liberalism as a supplementary set of logics, much like Soviet socialists in the 1920s deployed liberal techniques and language when they cast Muslim women as a group in need of saving and liberation (120–22)? Does the concern of missionaries with “the child,” that is, with education, already imply the status of liberalism as an idiom that so easily enters critical discourses, standing out over and above other potentially supplemental lexica? Should we understand this as the result of its propagation through various institutions across the globe, especially educational ones, or does an internal logic undergird its malleability and availability? What role, in other words, do the five domains play not only for the history of European constructions of Islam, but for the conceptual and structural filiation between liberalism and Christianity, activists and missionaries? If, according to Zwemer, the truth that Islam fails to grasp is that “Jesus is lord and savior,” and that he must be chosen as such, liberalism demands that the individual, in order to be an individual, must choose liberalism; this, as Massad notes, is a weaponized “choice,” for the only choice that liberalism can accept as a choice is liberalism. The new choice, then, appears as the liberal form of damnation; Muslims who do not choose liberalism, like those who do not choose Jesus, are the new forsaken, to be converted or killed. It is this structure of liberalism, as an ideology of imperial missionary work in the name of secularism, that Islam in Liberalism demands that we confront. My sense is that many filiative connections are present, however, I fear that the missionary as a figure or a metaphor, or a category or mode could be read to have an explanatory autonomy of its own in Idris’ reading, while as Islam in Liberalism insists, it needs to be always already attached to the economic and the imperial. Reading the relationship of secularism and secularization to the economic is most important in this regard. I am thinking of commercial Western codes and legal commercial adjudication, to take a couple of examples, being imposed on the colonies as a central part of this process; but there are others—nationality laws, passport laws, and of course private property ordinances are other important features. Clearly, as in the case of Christian missionaries, certain careers were made possible by the rise of human rights discourse and associated NGOs that facilitated the dissemination of liberal missionary ideas in our neoliberal age, just as an earlier era of imperial conquest facilitated the movement of Christian missionaries across the colonized Muslim world. In this regard the recent scholarship of Heather Sharkey, Paul Sedra, Beth Baron, and Ussama Makdisi, among others, makes this abundantly clear.1 That many of the key claims made by liberalism about Islam were made by earlier Christian propaganda is also not coincidental but rather reveals the Christian pedigree of these ideas intellectually, politically, and economically. This is most salient in the idea of the alleged absence of “civil society” in Muslim societies, which accounts for the absence of “democracy” for many European liberal thinkers and Protestant missionaries who needed to be recognized by Muslim states as autonomous from existing Christian communities (like the Copts in Egypt) and private property, which would allow them to purchase land to build churches, schools, orphanages, and associated buildings for their new parishes—all of which could only take place in the Ottoman Empire, for example, once the privatization of land took place as part of the modernization of property laws which would only happen in the middle of the nineteenth century. That private property and civil society are enablers of Christian and liberal missionary infiltration in Muslim societies is another filiative connection of significance (even Zionist settler-colonialism would become possible as a result of these changes). The other salient effect on the local, as many have already argued, was that many forms of Islamist and even local church activism and reform (including that of the Muslim Brotherhood and of the reform of the Coptic Church itself) would be informed or spurred by these Christian missionary precedents—be they Protestant missionaries attacking the Coptic Church in the second half of the nineteenth century or Protestant missionaries adopting Muslim orphans in the 1920s which spurred the Muslim Brotherhood to use the missionaries’ tactics to “retake” these children back into the realm of Muslim society, and as a basis for many of their charitable organizations. This is also the case with the current liberal NGOs, many of whose activities and structures have also been adopted by local Islamist political forces who support and/or contest their liberal agenda. The transformative aspect of the Christian and liberal missionaries must, however, always be linked to the principal imperial aim of transforming the local economy and its integration in global capitalism, whether from the nineteenth century through the interwar period as happened in a place like Lebanon, Palestine, or Egypt, or the more recent neoliberal era as is happening almost everywhere. ONCE AGAIN I FIND myself in front of a book written by Joseph Masad, and not at all surprisingly, I once again find myself enjoying a great learning experience. When I first read Desiring Arabs (2007), I particularly liked the way in which Massad troubled canonical histories through a thorough and clever analysis of a notable amount of key documentation.1 In Islam and Liberalism, Massad again draws on an impressive array of sources and with his particular wit and strong voice, he interpellates key authors and debates in order to question political and theoretical approaches that are taken for granted, with the aim of revealing the places where progressive critique falls short. He does so in a way that is always enlightening, and for my own purposes, most useful. In this book, Massad takes issue with the liberal attitude with which Western politics are conceived, and shows us how liberalism, understood as a mode of thought that defines an identity for “the West,” is at the center of current and former forms of Islamophobia and other forms of cultural racism. Honoring Edward Said’s project, in this book, Massad leads us into a profound examination of transnational (albeit internationalist) contemporary liberal politics in what seems to be an extension of Said’s project. While Said exposed the many ways in which the “Orient” was constitutive of self-images of the West, and Western modernity in particular, Massad shows us how “Islam,” a slippery and most productive signifier, is constitutive of liberalism. He states from the beginning that his aim is to show how “Liberalism as an identity” cannot be thought without reference to “Islam” as its counterpart (11). And he convincingly reveals how the figural presence of Islam is the underbelly of liberalism. The way in which Massad addresses this co-constitution makes this book an important intervention. In his study, his aim is not just to prove the thesis that Islam, in its varying uses, is projected as the other of Western liberalism, providing it with its constitutive outside at the level of macro-politics. What we have here is an account of the specific myriad textural, political, and tactical practices by which different approaches and understandings of Islam have helped to give shape, meaning, and purpose to what liberalism could be—now and then. In sum, his work is not limited to showing us the structural position of Islam as the Other. What is offered here is a detailed description and analysis of how productive this position has been—Lacan with Foucault? If Massad’s work is not strictly genealogical in method—when he traces back the histories of liberalism, he tends to look for continuities rather than discontinuities—it is still clearly genealogical in its attitude: his stories are designed to question what under liberal hegemony is taken for granted as an ostensible truth, if not a fact. One example of this exploration is the ascendance of “rights discourse,” where the liberal command to save women, gays, lesbians and queers from “other cultures” has taken center stage. This is the theme of two long chapters: chapter 2, “Women and/in Islam: The Rescue Mission of Western Liberal Feminism,” and chapter 3, “Pre-Positional Conjunctions: Sexuality and/in Islam.” I will focus my attention on these two chapters. In chapter 2, Massad traces back current transnational feminist imperialism to feminist orientalism, the role of protestant Christianity, their links to missionary evangelization (both in content and forms) and ideas of sisterhood in 1900, which will later find secularized versions in what he summarily addresses as second-wave feminism. He links these trajectories with the systematic orientalist attitude of governments who have always tended to be feminist abroad and misogynistic at home, with the role of Cold War and the Soviet Union in this process, and, as a case in point he offers an extensive discussion of long-lasting histories of veiling politics among others, which have since then become increasingly prominent. Through this exploration, Massad gives texture and content to what many feminists have pointed out, namely that the Eastern question was always the Woman question. 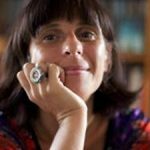 In this vein, his review of feminist debates about Western liberal feminism (called by critical feminists “colonial feminism” among other names), reveals the ways in which human rights—or more specifically the framing of women’s rights as human rights—have been working as a transnational form of governmentality. Rights appear here as the site where “liberation” or “emancipation” becomes clearly governmentalized. And Massad shows us how this form of governmentalization not only becomes a way to regulate (and manage) populations, but more crucially, one that regulates the relationship between different populations. In other words, the field opened up by “rights discourse” not only has implications for specific communities (this or that group of women), but more fundamentally, it configures those groups as such and then frames the relationship between them. In sum, it has specific geo-political functions that actually grant transnationality specific meanings, among which the reviving of Western feminism is not irrelevant. I totally agree with Massad, and my own work, in its own way, is also concerned with these rights discourses as a form of governmental regulation. However, the question I struggle with here is whether it might be possible to identify any other productive outcomes that could be opened up by the discourse of rights, which might have the potential to challenge those forms of regulation that rights, in their liberal form, actually sustain. 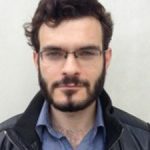 Counter to Foucault, it seems to me that Massad may be too quick to disregard any potential for this discourse, or for the signifier “right.” In my view, an amplified notion of “right” could mobilize a utopian horizon and by doing so, this signifier could have a transformative potential. Considering the paradoxical status of rights, Wendy Brown highlights this possibility.2 Drawing on Spivak’s famous statement that “liberalism is something that we cannot not want,” Brown unravels this bind, and suggests the utopian horizon that rights might open, and the possibility that these utopian ideals could be articulated in terms that might undo their actual liberal presuppositions. After all, people are invested in rights and, taking into account colonial legacies and mutually entangled histories, it seems very difficult to completely de-link them from deeply engrained imaginaries of freedom and justice . . . When the juridical restricted version of “human rights,” which belongs to the transnational (liberal) legal culture, opens up a field of “expectations” that pertain to the idea of “having the right to,” or having “the right to claim rights,” this field can be very productive. It could of course be argued that these expectations remain within the liberal framework—onto-epistemologically speaking they belong to a “subject of rights” which seems to be liberal in its inception—and my own argument on sexual citizenship goes along these lines.3 But then, what might be the political alternative to rights discourse? Ultimately, citizenship is not exactly the same as “right”; and therefore, although I am not at all sure that ideas of freedom, justice or equality should be totally abandoned, as “having the right to claim (or have) rights” in its most undetermined formulation is often associated with these ideals, I am not sure either that we should abandon this horizon altogether. It is along these lines that I find Massad’s critique of Lila Abu-Lughod’s plea for equality rather unfair—but it is not my place, nor the occasion to defend her here (139). In fact, I do not have good answers to this tension around the confines of these ideals as they are interconnected with rights either. Massad confronts us with the limits of our own thinking. And undoubtedly, his work has helped me in my own work on the pervasiveness of onto-epistemological categories that are proper to a liberal understanding of the subject. So these are honest questions that I would like to think about with him. I agree with Massad that in this context, “rights discourse” becomes a Euro-American weapon par excellence, a vehicle for the enactment of imperial onto-epistemological impulses that work through strategies of translation that rely on what he brilliantly identifies as strategies of comparatism, culturalism and assimilationism. Indeed, the problem of translation and cultural translation is at the center of contemporary transnational legal culture and, as Massad remarks, the liberal paradigm that frames this legal realm relies on the disavowal of its difficulty to address how notions such as rights, gender, or individuality have different meanings across contexts (127). The question of translation, including the dynamics of cultural translation is central in chapter 3. In this chapter, Massad embarks on the task of showing how the assumed translatable character of sexuality already supposes an epistemic violence. Starting by addressing the historicity of sexuality, via Michel Foucault, Massad questions the universalizability of sexuality given its status as a specific historical formation, and remarks, rightly in my view, that the elevation of sexuality into an onto-epistemological category paves the way for the non-sufficiently problematized treatment of heterosexuality and homosexuality, and later sexual identities such as gay and lesbian, as ontological realities. Massad outlines in this chapter the assimilationist impetus of the “Gay International,” and, in response to former critiques, he makes it clear that for him the question is not about the agency of those who engage in transnational LGBT politics, but rather, the pernicious effect that this politics may have on a broader level, not helping those who do not identify with these categories. Here Massad makes an interesting move, and proposes refusal (to accept the terms in which LGBT transnational politics frames the debate) as a form of resistance. Moreover, he clarifies that it is not that he does not believe in the possibility of transnational solidarity tout court (254), but to honor such name, this solidarity cannot be based on assimilationist forms of translation. This solidarity should be based instead on the kind of translation that Talal Asad, Gayatri Spivak, or Judith Butler propose, one that in the encounter with “the other language,” confronts us with the need to question our own categories. I feel very much in sympathy with Massad’s position. Where we might differ is how to deal with this limit. Maybe in a more naïve fashion, I have been trying to find in a sort of “decolonizing” queer negativity—as a critical approach that questions the fixation of signifiers (and not the queer as the signifier of any positive position), a form of critique that therefore questions borders from the place of a constitutive outside—potential to think about critical forms of translation that oppose sexuality (as a specific dispositive) but do not dissolve any and all reference to “the sexual” as an indeterminate field that evokes, as Massad himself refers to, pleasures, desires, practices, behaviors, feelings, etcetera. Massad may well contest this stance, and insist that an anti-imperialist and anti-racist move should oppose this. He might be right, at stake here is the question of the possibilities of translation. After all, as he puts it, the ultimate task is to study “how Islam is produced in sexuality,” or in other words, how sexuality as an onto-epistemological Western category already depends on the production of Islam as its other. This means that sexuality has to become something else from the point of view of anti-imperialist translation. This is the challenge that I believe I share with Massad, albeit in relation to different political constellations, namely the task of undoing sexuality as we know it. I am grateful to Sabsay’s generosity and her serious engagement with my work. Indeed, I, too, have been informed by Sabsay’s important work on sexual citizenship and its links to Orientalism, which I discuss in Islam in Liberalism. It does seem, however, that we have a differing assessment of whether the discourse and institution of rights in liberalism could challenge forms of state regulation that it sustains. Sabsay invokes Wendy Brown’s understanding of liberal rights as that which we cannot not want. In her most recent book, Brown persuasively argues that neoliberalism undermines the very bases of liberal democracy, which, however, she insists, should remain the point of departure for those who oppose neoliberalism in order to bring about what liberalism promises but never delivers.1 I find this an inadequate framework, let alone an ideal political agenda to resist neoliberalism. Brown is not blind to the horrific record of liberal democracy on the question of race, gender, class, and governance more generally, but she still believes that liberal democracy carries “the language and promise of shared political equality, freedom, and popular sovereignty,” to which we must strive. I have always been wary of this dominant academic and intellectual preference for the language and promise of liberalism. For example, would Brown or any American liberal ever be able to overcome their internalization of American Cold War propaganda against the Soviet Union and agree to posit Soviet socialism as our point of departure to resist neoliberalism based on the language and promise of Soviet socialism? After all, Soviet socialism provided so much more than liberalism even promised to deliver on the questions of race, gender, and class. Soviet socialism guaranteed the Soviet peoples the right to work, the right to housing, to free education, free healthcare, free daycare, among other social benefits. While the Soviet system was highly restrictive of political and cultural rights and was run by a Eurocentric managerial class of party apparatchiks who had disproportionate benefits, often captured by the term “state capitalism,” why could the socialist and social democratic promises of the USSR and its 1936 Constitution which promised a future democratic communist society not be chosen as a point of departure to combat neoliberalism, let alone liberalism and its false promises, in the hope of striving and fighting for what Soviet socialism promised but did not and could not deliver? Here, I believe that Sara Farris’s insistence in her comments on my book on the importance of the much-ignored economic, a point with which Islam in Liberalism is in full agreement, as the central question to be asked when it comes to Europe’s relationship to “Islam,” Muslim refugees, and Muslim women, offers a more promising approach on which to base our resistance to liberalism and neoliberalism. Abandoning the discourse of rights and the governmentality it enshrines globally is not therefore an abandonment of the horizon of “freedom, justice, or equality,” but rather of the liberal onto-epistemology that makes them intelligible, as Sabsay fully recognizes. Here, my sense is that it is socialism that we cannot not want—not liberalism. Sabsay explains that my book “proposes refusal (to accept the terms in which LGBT transnational politics frames the debate) as a form of resistance. . . . In other words, how is this refusal Massad is thinking about politically articulated?” I can only answer by insisting that this is not a proposal, but rather an observation, as this “refusal” is not politically articulated by the majority of people whom Western European sexuality interpellates as “sexual,” but whose desires are not the ground of their onto-epistemological being. It is a passive and not an active refusal in a sense; in that sexuality as presented by Western human rights discourse and the Euro-American regimes of sexuality as the truth of being, is unintelligible and therefore untranslatable to most peoples. As the Euro-American onto-epistemology of sexuality has so far failed to produce most people (excluding elites and increasingly the middle classes) in non-Europe as subjects of sexuality, evidenced by the West European and Euro-American intransigent Gay- and Straight-internationalist campaigns (launched by governments and by NGOs) to coerce them into becoming subjects of sexuality, their refusal is not a conscious one at all. The moment people enter the incited discourse of sexuality and offer a discursive and political refusal to it in claiming that they have a “different” form of sexuality or a differing understanding of the “sexual” would be the moment their refusal is no longer a refusal, as they would have been already incorporated in the universal reach of the sexual and can no longer exist outside it. Sabsay is correct that I contest the preservation of the “sexual” as a determinate field, as I am not sure this is a conundrum for everyone but rather only for those who are subjects of Western sexuality and who insist on linking all of this as a menu on the plate of the sexual which is coerced into an identity, and frame it in identitarian terms. I fear that this attachment to the sexual, as a potentially rights-bearing category, keeps us within the realm of the liberal. Desires, pleasures, physical practices, feelings, and behaviors need not be and are not huddled under the umbrella of the sexual except within the confines of the onto-epistemology of Euro-American sexuality. We are not here in the “romance of the incommensurate,” rather, we are in effect plainly in the realm of the incommensurate tout court. Western sexual subjects’ insistence on universalizing their regime of truth is not simply a matter of refusing to recognize those who are not sexual subjects but a realization that their subjectivity hinges on eliminating the ontological life of those who resist. Patchen Markell’s observation in this regard is most pertinent: “Relations of social and political subordination . . . [should be viewed] not as systematic failures by some people to recognize others’ identities, but as ways of patterning and arranging the world that allow some people and groups to enjoy a semblance of sovereign agency at others’ expense.”2 Sabsay and I are obviously in agreement that the regime of Western sexuality is constituted by/depends on the production of Islam as its other. This means that sexuality has to become something that it can never be from the point of view of anti-imperialist translation. In short, sexuality becomes something that we cannot not refuse. ISLAM IN LIBERALISM BEGINS with a stark thesis, whose intellectual and political consequences Joseph Massad deftly traces across five distinct if closely interlinked interventions: the construction of a polemical image of “Islam” is a condition of possibility for the emergence of liberalism and Europe as identities. Some might take this combative iteration of the Saidean critique of Orientalism as a provocation. And yet, reading these pages in the context (to choose but one) of the diversion of the Canadian prime-ministerial election campaign by the “debate” over one woman’s decision to wear a niqab at a citizenship ceremony, that thesis gains a kind of dismaying self-evidence. Massad declares that the objective of the book is to show “how Islam became so central to liberalism as ideology and as identity, indeed how liberalism as the antithesis of Islam became one of the key components of the very discourse through which Europe as a modern identity was conjured up . . . how in the process of identification, the emergence of Europe was predicated on a series of projections, disavowals, displacements, and expulsions in order to produce a coherent self, cleansed of others to which this self was opposed in its very constitution” (11). This is a process in which, though Massad doesn’t explore it further, the “othering” of Islam from the “sacred space” of liberalism (to borrow from Domenico Losurdo), intersected with those enacted by discourses of race, gender and class. Massad’s own concise formulation nicely sums up the horizon of his research programme: “liberalism’s external others turn out to be internal to it.” Though Massad announces at the outset a forthcoming Genealogy of Islam, which will provide a historical reconstruction of this antithetical or antagonistic discourse on “Islam” (Islam in Liberalism is described as an introduction to this Genealogy that grew far beyond its initial coordinates), and notwithstanding its rich historical reflections (the treatment of the imperialist European framing of the “Caliphate Question” is one of the book’s highlights), Islam in Liberalism is firmly anchored in contemporary scholarly, political and activist debates. This raises an interesting conundrum for such a “history of the present”: “liberalism,” especially via its imperial and Anglo-American model, has become at one and the same time a hegemonic and rather amorphous notion, one whose ties to classical philosophical or political liberalisms is not always straightforward (despite rote declarations of filial piety vis-à-vis founding fathers and the like by present leaders). We may easily agree that today’s self-defined liberals shape their self around an Islamic other. We may also see a formative role for Islam in the Enlightenment trajectories of liberal thought (though how constituent the Islamic referent was for a Locke, a Smith or a Hume remains on open object of inquiry). But the continuity between the two cannot be taken for granted. This is not to say that, in spite of the very ample denotation that Massad accords liberalism, he is a partisan of the univocity of liberalism—Islam in Liberalism notes significant shifts over time in images of Islam in Europe, as well as, crucially, the way in which the liberal enlistment of Islam in neo-colonial strategies has also, in some respects, trespassed the parameters of classical Orientalism. As Massad observes: “Western and American cultural and political commitments to democracy are as malleable as the ‘Islam’ they seek to mobilize for different strategic ends” (84). The “definitional flexibility of the imperial realpolitik” means that what is required is “not necessarily an Orientalist epistemology” (105–6). Notwithstanding this imperialist flexibility, the fundamental tenets of Said’s Orientalism are still very much operative, and the demarcation of and from “Islam” is ultimately reflexive witness to the way in which “much of the liberal controversy about Islam and democracy has really been about the West’s own antidemocratic imperial and domestic commitments” (106). Islam in Liberalism comprises a sequence of very rich and erudite forays into pivotal discursive domains in which Western liberalism has defined itself in defining its Islamic Other (democracy, “the woman question,” sexuality, psychoanalysis, “semitism”). Much of the book consists of close readings which are both illuminating (none more perhaps than his dissection of the UNDP’s Arab Human Development Report 2005) and unsparing—especially when it involves refuting his critics, which he does with a kind of philological relentlessness in expansive footnotes that I imagine will deter many a potential future critic. In what follows I’d like to take some distance from the work of ideological and textual criticism the book undertakes and try to explore two of what I perceive to be the fulcrums of Islam-in-liberalism, which might also extend to Islam-in-the-critique-of-liberalism. Both concern the kind of historical-political work on epistemologies that Massad has carried out, though I don’t think they need necessarily require the same Foucauldian allegiances that he exhibits (273). The first is analogy as mechanism of ideological capture, the second is subjectivity as an ethno-political norm. This operation shows, above all perhaps, the level of historical delusion about European history that such polemical analogies involve—about the unequivocally civilising functions of Protestantism, here shorn of its inaugural “civil war” in the guise of the German Peasants’ War of 1525, of its place in further European wars of religion, of its role in settler-colonialism. It further demonstrates the critical role of analogy in the developmentalist ideologies of modernization (racial, civilisational, technological) that still pervade discourse about the Arab and Muslim worlds. It is only to the extent that liberalism can be placed as the redemptive post-historical terminus of such processes, by polemically demarcating it from its others, that its own fraught formations and abiding contradictions can be elided. Here it is worth noting that analogy is not only operative as a normative historical standard by which liberalism is naturalised in a kind of philosophy of history, it is also what frequently governs the treatment of its “Others.” In exploring the history of the idea of fanaticism, an endeavour which could not but tackle the place of Islam in the protocols of identification of liberalism, in how it draws the perimeters of political rationality, I was struck over and again by the monotony with which “illiberal subjects” (fanatics, enthusiasts, and so forth) were likened to one another.2 Whether it was Keynes referring to Lenin as “a Mohammed and not a Bismarck” or Russell saying that the Bolshevik Revolution combined “the characteristics of the French Revolution with those of the rise of Islam”; Jules Monnerot (once-collaborator of Bataille in the Collège de Sociologie, later ideologue of the Front National) declaring that “Communism is the Islam of the Twentieth Century,” or many rightist Islamophobes inverting the formula, to declare that “Islam is the Communism of the Twenty-First Century”—such cognitively empty but politically-saturated inversions are endemic to liberal-democracy and its self-image (cousins of the association with Hitler of any inconvenient despot from Saddam to Milosevic). Demonstrating the resilience of the analogical imagination, they are interestingly also present in non-Islamophobic interventions, for instance in Foucault’s likening of Khomeini to Savonarola or Thomas Müntzer. One of the most striking precursors to such analogies was Hegel’s remarkable short-circuit between the French Revolution and Islam as the “Revolution of the East” in The Philosophy of History and other texts. Though eccentric to liberalism properly so-called—of whose Lockean and Smithian, as well as revolutionary, variants he was an insistent critic—Hegel’s in many ways idiosyncratic positioning of Islam within his system resonates interestingly with the insights mobilised in Islam in Liberalism, allowing us to reflect on the ways in which analogy, subjectivity and history form a potent matrix within the self-conception of “the West.” To begin with, Islam (or rather, to keep to Hegel’s analogising name “Mohammedanism”) is literally placed in Europe, namely in the section of The Philosophy of History covering “The German World.” As Ian Almond usefully notes, this at first perplexing inclusion bespeaks, among other things, Hegel’s wish to compare the “barbaric” character of the polities of mediaeval Germanic tribes to the military triumph and cultural splendour of early Islam.3 The objective was to show that the first was a necessary precursor to civilisational progress while the latter was a spiritual dead end. It also echoed Hegel’s deep anxieties, evidenced in his psychic life (dreams of his wife threatened by Muslim soldiers) and in his journalistic work on contemporary geopolitics (as editor of the Bamberger Zeitung in which, as Almond again compellingly shows, Hegel included a remarkable amount of material on Turkey). The way in which the picture of the fanatical Islamic subject, the subject of submission which is at once too passive and too active, and thus never format-able as citizen, is a constituent part of the European theory (and practice) of the subject is certainly a crucial dimension of any further research of Islam in liberalism (but also Islam in the critique of liberalism, for instance Hegel’s or Marx’s, or indeed in Western philosophy more broadly). In Massad’s own formulation: “Citizenship as the antonym of subjection is not only Orientalist, it is the very figuration of Orientalism” (54). This notion of the subject is also, in a manner which is crucial for liberalism and for the political self-image of “the West” more broadly, linked to that of the individual. So much is registered in another passage from Hegel: “The individual, the Muslim, is not like the European, who has a variety of viewpoints. If the European is a convolution of diverse relationships, the Muslim is one whole and only this one.”6 Or, the Muslim is anthropologically and culturally different (and therefore not a real, which is to say mediated, individual) because he does not have a proper relationship to difference. He is an indifferent subject of the One. Against such a position, it is worth remembering the important work of Alain Grosrichard, The Sultan’s Court: European Fantasies of the East, which delineates how European fantasies of the Other’s (anti-) politics structure our own, how the belief in “their” beliefs allows “us” to believe we don’t believe. Or, in Mladen Dolar’s gloss on Grosrichard, the fantasy of the seraglio, and of “Asiatic Despotism” more broadly, allows the European subject to believe that “somewhere, in some distant Asian land, there are some people naïve enough to believe.” Following Talal Asad, from whom Massad draws repeatedly and effectively in the book, one could perhaps say that it is in the very notion of religion—modelled on Christianity, whence the supposedly universal models of (Protestant) reformation and secularism—that the original sin of analogy lies. In the book’s last chapter, “Forget Semitism!,” Massad shows how a form of analogy and identification between religions, the tenuous construction of the “Abrahamic,” can serve a powerful depoliticising function, blurring the ongoing facts of settler-colonialism and dispossession for the sake of an irenic-redemptive discourse (in which the pronouncements of a Jimmy Carter appear as provocatively analogous to those of a Jacques Derrida). This last sally against a “liberalism with a human face” (341) is in keeping with the anti-imperialist politics of knowledge driving Massad’s project—a politics which, as his numerous objections and refutations suggest, unapologetically requires the abandonment of many or even most types of contemporary investigation, academic, non-governmental or activist, into subjectivies, gender and sexualities in the Arab and Muslim worlds. By way of a concluding remark, which is to say by way of opening the discussion on “Islam in liberalism” further, I wonder whether it is possible further to explore two interlinked issues raised by Massad’s method and research. This opens onto my second and last question, which has to do with the unity of the democratic liberal West. Massad shows expertly how so many of the images of Islam are purgative projections out of the European or Western body politic of its own anxieties and contradiction, and above all its own despotism, its own history of subjectivity as subjection. But an ideological dominant that can only define itself through such incessant negative projection however cannot be so consistent after all. To what extent is “liberalism” or “the West” one? The unity or homogeneity of many of its effects, and of its discourses, should not oblige us to infer an internal consistency able to “sublate” an extremely contradictory history and an unstable present. To paraphrase Freud, Massad’s work may help us to explore how “liberalism” (and therefore its critique) might be interminable, in its shaping of our political imaginaries, but also how it is also terminable, in many of its operative political and ideological formations. Toscano asks an important question: “How is Islam-in-liberalism at different times articulated with racialised, gendered and classed ‘otherings’?” The book’s point of departure is that liberalism has many modes of othering, and Islam, as I say in the introduction, is a central and principal other though not an exclusive one. Africa and Africans are another major other of liberalism articulated in relation to this schema. The liberal (and Protestant) discourses on Africans—polygamy and homosexuality but also despotism and dictatorship—often analogize Africans to Muslims through what liberalism believes are abominable practices. I should note, however, that what remains most stark in the African case is the bio-racialization of Africans, which is not always operative in the same way with Muslims, though it is operative often as I show in my last chapter on Muslims and Arabs as “Semites.” It should be emphasized also that unlike Muslims, who are defined primarily in their relationship to an illiberal and un-European faith, Africans in these discourses mostly do not get to have a religion, though the history of European and North American Protestant missionaries in what is identified as the Muslim World and Africa (their overlap notwithstanding) is not that dissimilar. The question then becomes whether the production of Islam’s many new referents was part of the same translational process of producing its many new antonyms, from being a singular Christendom or Christianity to many more opposites. I should note here that the Western and Orientalist deployment of Christianity and Christendom themselves as singular is based on a retrospective deployment of a unitary community on what was historically disunited peoples, doctrines, and churches. 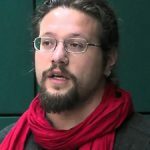 Indeed, the West itself is not only not one, but its unfinished constitution is constantly being remade as I show in relation to the “sexual” question: “The ‘West’ has been normalized as the ‘West’ by a series of ontological and epistemological operations, including its hetero-homo binarization. It is these operations that produce it as the West and produce the West’s others as opposites or approximations of it” (261). Finally, and in addition to the many liberals I cite, Toscano asks that I cite the Marxists I cursorily referenced and who also partake of this liberal ontology. The list of more recent claimants to Marxism who espouse an onto-epistemology that sees Islam as the other of democracy and socialism include for example Philip Bonosky, a Soviet-style American Marxist who represents Islam as the religion of feudalism,1 and contemporary claimants to Leninism like Slavoj Zizek (who is cited in the book), or to Maoism like the irrepressible Samir Amin, whose fulminations in support of the Sisi dictatorship (which he presents as a motor of progress2) as democratic progress and liberation from the illiberal and anti-democratic obscurantism of Islamists continue uninterrupted through the present. Indeed Amin is explicit that “in the peripheries, the monopoly of power captured by the dominant local superclass . . . involves the negation of democracy. The rise of political Islam provides an example of such a regression.”3 Add to Amin the many members of Arab Communist parties and socialist activists who view Islam as the enemy of socialism and social democracy as witnessed by the events in Egypt, Jordan, Tunisia, and Iraq in the last decade) and many lesser figures. As Toscano shows, these analogical strategies are shared by non-liberals like Hegel and Foucault as well.